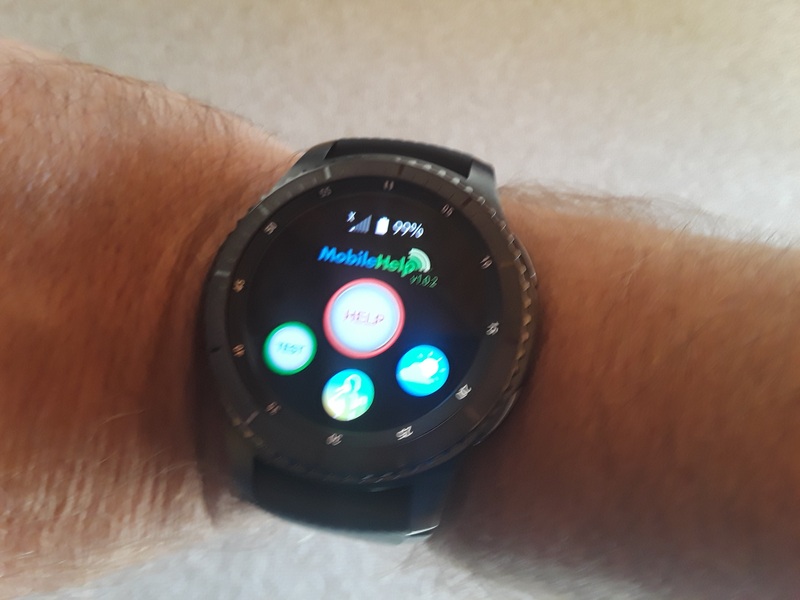 MobileHelp has just launched the latest technology advance in wearable health smart watches, and it's perfect for the active, tech savvy senior. It monitors your health, encourages your fitness and helps in the event of a fall or medical emergency. 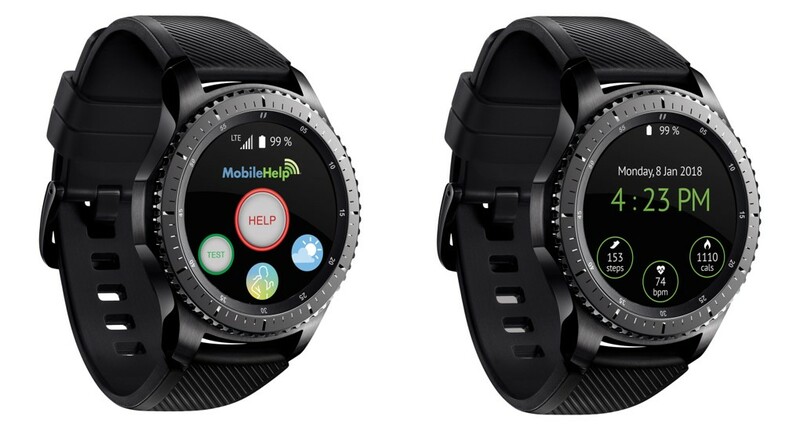 The new MobileHelp Smart, developed through a collaboration between Samsung and MobileHelp, ushers in a new era of wearable technologies to the medical alert space. The smart watch comes in a sleek, modern design, monitored help button, built-in GPS location tracking, microphone and speaker, heart and blood pressure monitor and a host of health and fitness applications. While we believe nothing replaces the simplicity and ease of use of single button medical alert systems, MobileHelp Smart's wearable medical alert health watches should be appealing to those who are more mobile and active, with an aptitude for technology. Health Apps: Includes easy to use step counter, heart rate and blood pressure monitor and calories burned. Set and measure fitness goals for different exercises (cycling, rowing, running, elliptical, jumping jacks, yoga and more). More than a help button: We love the features on the MobileHelp Smart watch. It's designed to monitor your health, get you in shape and protect you in the event of a fall or medical emergency. Essentially it's a FitBit, Garmin and mobile medical alert all in one device. Homescreen help button: The help button is right on the home screen of the watch, making it easy to find, press and have a conversation with the monitoring center. Works independently from a cell phone: Unlike many other smart watches, you don't need to carry your cell phone with you for it to work. You also don't need a separate cell phone plan. Great for jogging and sports. Nice looking: The MobileHelp Smart comes in a beautiful, modern, Samsung watch encasement. It's stylish, modern and youthful. A big reason seniors don't wear their mobile medical alert bracelet or pendent is because it draws a lot of attention. The Samsung smart watch let's seniors fit right in. Easy to wear: One of the major complaints about current mobile medical alert systems, is that they're too big to wear on your wrist, and some would prefer not wearing a pendent around their neck, especially during activities. The MobileHelp Smart Samsung watch is thin and can easily fit under any sleeve, just like a normal watch. Easy to charge: There's nothing difficult about charging the MobileHelp Smart watch. 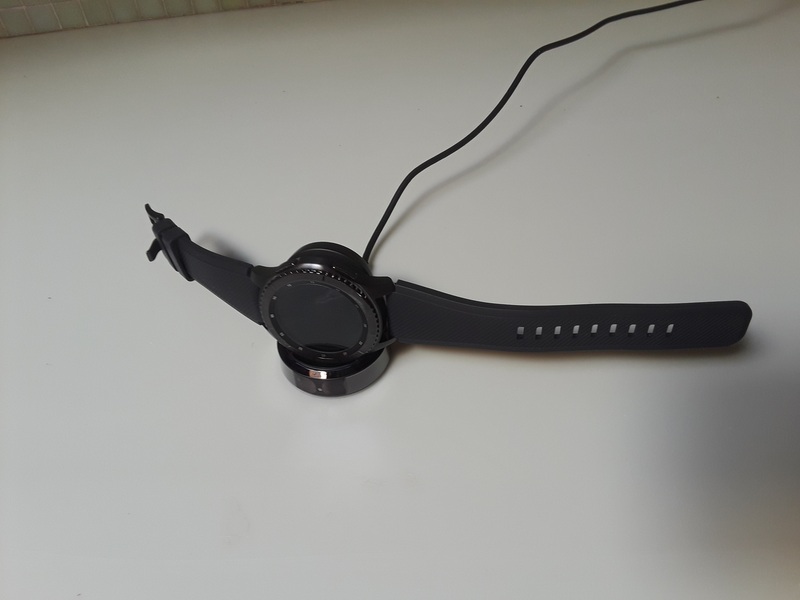 You simply place the watch in the charging cradle, which is magnetic, and voila, it charges on it's own and indicate when it's fully charged. Relatively affordable: The cost of the system is actually pretty competitive. While you pay $349.95 up front for the smartwatch, that's not so far off from a Fitbit, but you're also getting a specially designed emergency medical bracelet that's connected to an emergency response center. Moreover, the monthly fee of $24.95 is actually cheaper than the monthly fee of many medical alert systems (presumably because you own the hardware, so the leasing costs aren't included). A Little more complex than a traditional medical alert device: There's a reason the light switch and the mouse trap are still being used. They work well and they're simple. 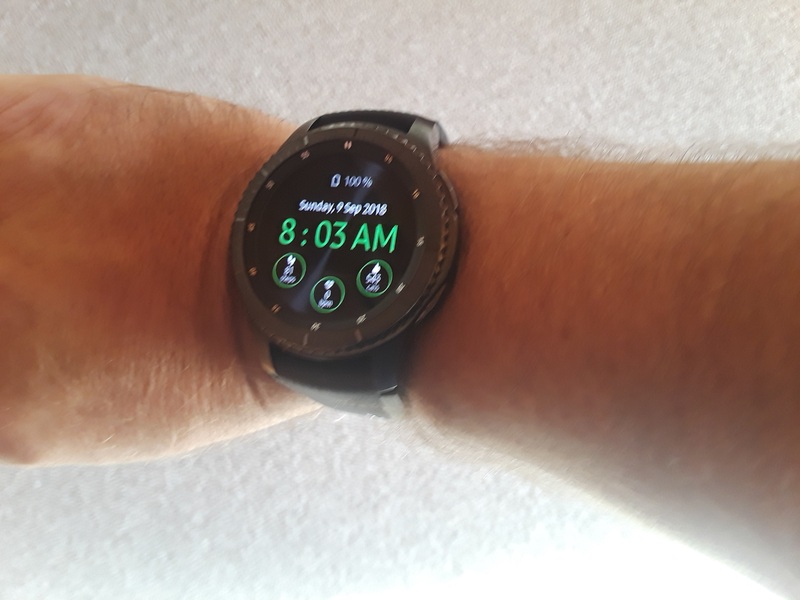 One of our biggest fears with the MobileHelp Smart watch, and the category in general, is that in a moment of confusion, shock or panic it may be hard to find the much smaller digital button on the screen of the watch. Moreover, while there is a help button on the side of the watch, it's one of a few buttons, and it's not clear which one is the emergency button. It would be helpful if it were a different color to make it easier to find and press. Our other fear, is that it might be hard for those with poor vision, arthritis, parkinsons or other ailments that limit hand eye coordination to easily scroll to the correct screen and press the digital help button. In the event of a fall, it's very possible that you won't have your glasses on, making it even harder to find the help button. No fall detection: While the system is feature rich on many fronts, it lacks one of the newer and most helpful features of modern medical alert systems, automated fall detection. While fall detection is not perfect, it's pretty darn good and if you worry about not being able to press the help button if you fall, experience a medical emergency or lose consciousness, it's extremely effective. Up-front costs: If all you're looking for is a medical alert device that works well in and outside your home, forking out $349.95 up front for the watch, plus monthly monitoring charges is pretty steep. The alternative is to pay between $20-$35 for monthly monitoring with no hardware costs (and no bells and whistles). If you're one of the many youthful seniors who are active outside your home, are relatively tech savvy and will use the rich features the watch comes with, it can be the perfect health monitor, fitness hub and emergency medical alert system all bundled into one. However, if you or a loved one get overwhelmed by technology, suffer from poor vision, have poor hand eye coordination, or want automated fall detection, you might want to stick to one of the more basic medical alert systems. Might recommend the Apple Watch 4. It has fall protection. As long as you have your phone you don't pay the $25/month to monitor. Good suggestion. We'd just caution that at close to $1,000 for the Apple Watch with fall detection, plus a wireless subscription, it's not necessarily an apples to apples comparison (no pun intended). That said, we're excited to see how the industry incorporates the new fall detection technology into their systems. The challenge for the senior medical alert industry was always how to incorporate fall detection onto a wrist watch, without causing false alarms due to rapid up and down movements of the arm. Looks like apple has figured out a way to measure wrist trajectory and impact acceleration. Hopefully it won't be long before it's reverse engineered and made available to wider audience at a cheaper price.